Ensure You Have The Skills And Mentality To Win The Big Matches! 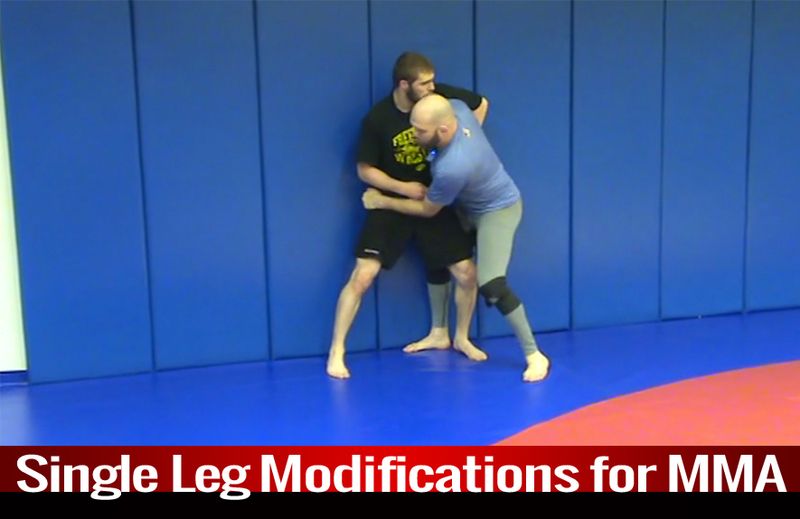 This module is loaded with videos covering the absolute essentials to mastering Single Leg attacks. The drills and techniques in the section should be inserted into your warm-ups and conditioning in order to get as many reps as possible and develop the muscle memory needed to "pull the trigger" in the toughest matches. The footwork drills covered in this section are the same footwork drills I used when I got to the University of Iowa and when coaching my youth and high school wrestlers. They are the same drills that top youth, high school, and college coaches teach when wanting to make gains in the neutral position. 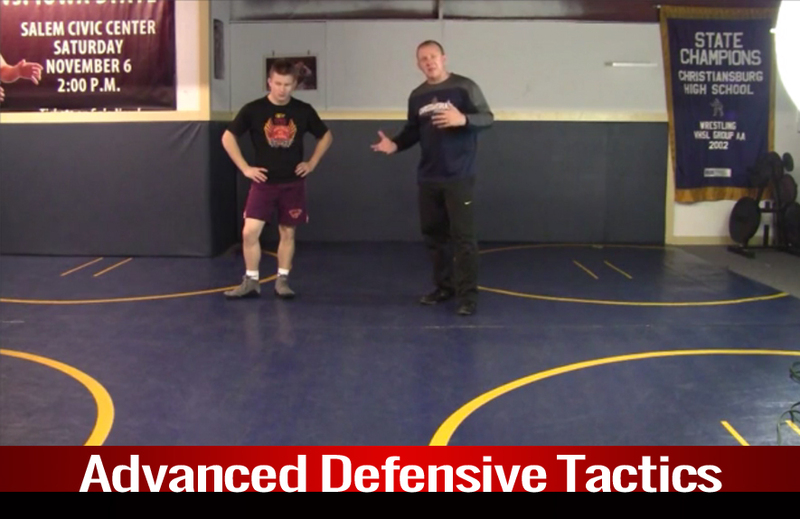 The teaching tips will help your wrestlers fast track success. I allows them skip the trial and error phase when learning the basics needed to attack with a variety of Single Leg Attacks. The penetration step and finishes will lay the foundation for many other leg attacks. It will cross over nicely to multiple Single Leg variations. You’ll also get drills and live scenarios that are great at taking this "must have" takedown from technique to live match instincts as quickly as possible. Have 100% confidence you're teaching the best techniques and using the most effective teaching strategies with the videos in this module. 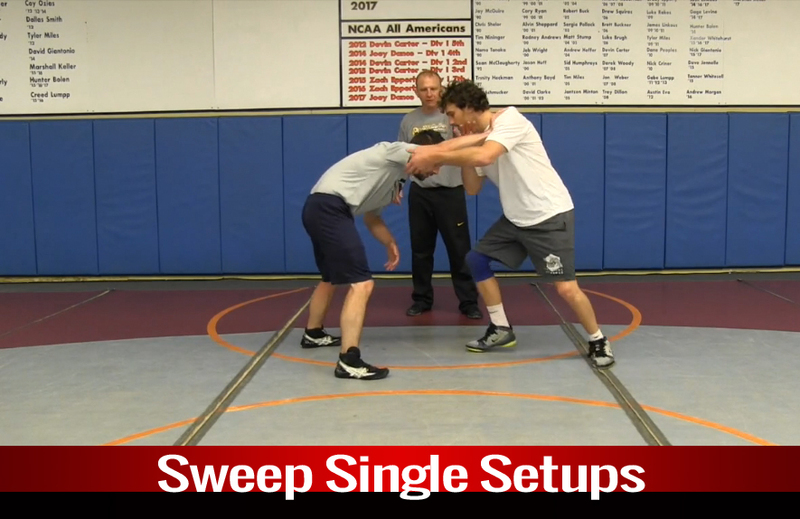 Loaded with only the most proven setups, this section shows wrestlers how to use motion, fakes, and physical setups to get opponents moving where you want them. 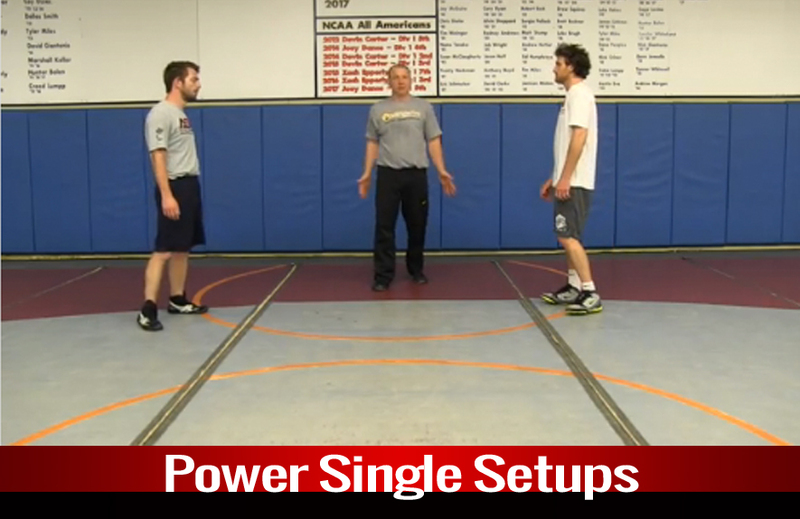 You'll learn to use setups that progressively build a system of attacks for any level wrestler. It will work when setting up all other major leg attacks. Especially after laying the foundation presented in the previous module. 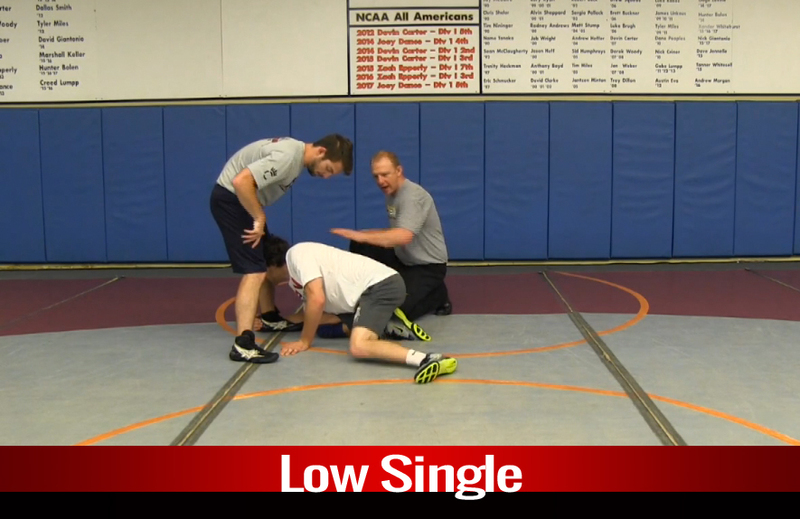 The 3 teaching points that teach wrestlers to vanish on opponents make this Sweep Single Series deadly! 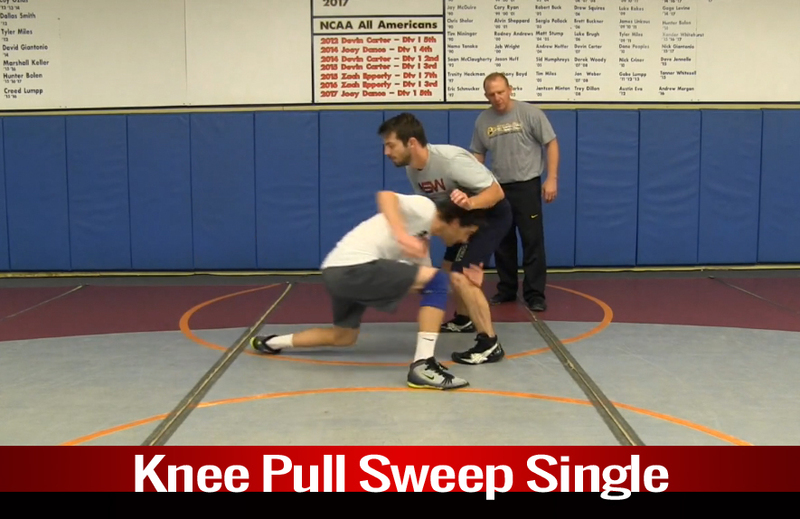 The Sweep Single can be a difficult series to teach young wrestlers if you don't know the proper teaching points or if you overwhelm them with finishes. This laser focused Sweep Series contains teaching points I developed over a decade of teaching this to wrestlers of all experience levels. It contains the best finishes needed to address all the major scenarios wrestlers will encounter. This is all very important because it decreases the fear of shooting and getting scored on. It encourages wrestlers to open up and attempt more leg attacks, because they know they have the finishes to get the job done if the shot isn't perfect. They know they can get out of trouble if things go too wrong. Continue to build off our progressive system of tieups/setups. The key isn't to master all the setups presented in this course, it's to be sure there is something that will click with each and every wrestler. 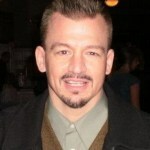 The setup system leads to developing physical,high paced wrestlers. The series of setups is designed to contain something for everyone. Wrestlers will take their favorite setups from this series and develop their own style, which will lead to aggressive chain wrestling. 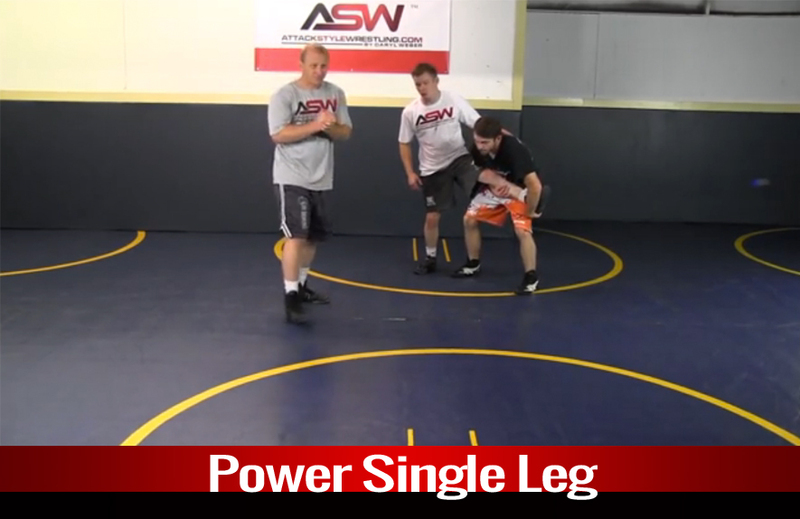 Add another layer of attacks with this slight variation to the traditional Sweep Single. This inside hand Single Leg is almost unstoppable when a wrestler masters it. We cover simple adjustments and demonstrate easy teaching points that will streamline the learning curve. 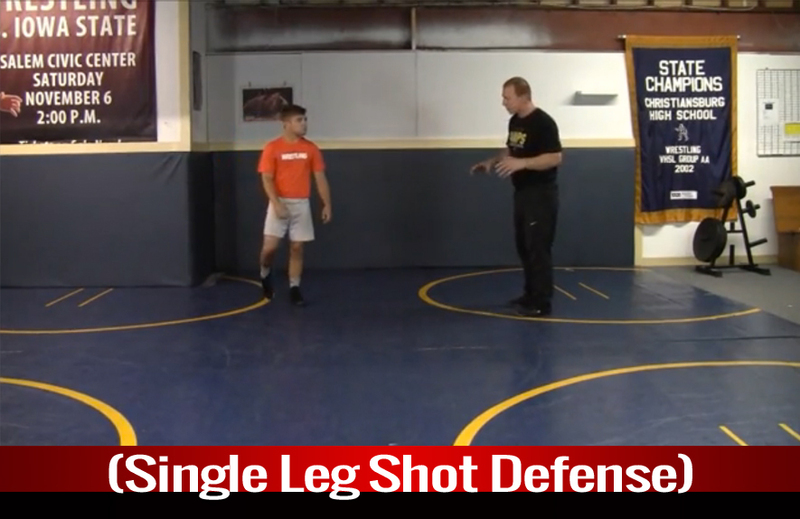 We also point out the quickest and easiest finishes to this slick Single Leg variation. Many wrestlers try to use this system, but the teaching strategies I developed will enable more of your wrestlers to start scoring with this technique. They will stick with it because they see more success sooner. They won’t give up on it, like wrestlers lacking my foundational elements often do. Discover the select-few tieups/setups that lead to tremendous success with this leg attack series, often making it unstoppable! Learn these setups, start to force them on opponents, and you’ll soon find that you're scoring more takedowns against top level opponents. This is one of my favorite techniques to teach in reverse order. Use this unique teaching style and watch wrestlers that struggled with this technique in the past, pick it up in just one practice. The simplicity of this series is the beauty of it... Watch your wrestlers gain confidence and feel more comfortable with this shot in just a short time. To begin with, you can get the to the Low Single from tieups AND after missing other shots in chain wrestling scenarios. Even when the Low Single is hit from the open, wrestlers still need to understand how to be physical with..
Motion, fakes, and snaps. 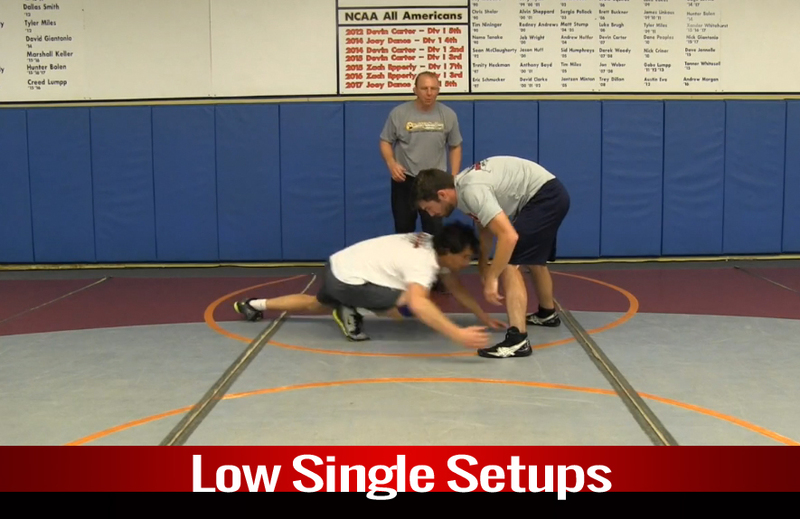 The simple and straightforward Low Single setups presented in this module are easy for wrestlers of all levels to understand and start using quickly. The eight videos contained in this section are essential to wrestling success. No elaborate fluff here! 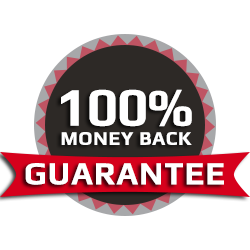 Only solid defenses that are proven to win at the highest levels and easy to learn for newbies. 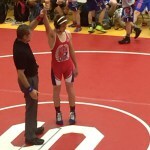 I can't tell you how many times my high school wrestlers won BIG matches at tournaments like the Virginia State Tournament, The Beast of the East, The Ironman, Fargo and many more with the techniques they learned in their first year of wrestling. They are the exact same methods presented in this module. 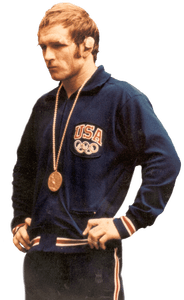 You must learn these techniques from day one and continue to master until your final days as a competitive wrestler. Many of the techniques in the section are the same that I taught beginning wrestlers. I stayed after practice during my Senior year at the U of Iowa and drilled these setups, in preparation for winning and NCAA Title. This section is filled with leg attack defenses that are appropriate when an opponent has you dead-to-rights. You need to pull something out of your rear to escape a bad situation.You need reliable feet-to-back defensive tactics that are excellent to add to your arsenal once wrestlers have learned the basics. In addition, you get…PDF's and downloadable guides to help organize your training efforts! You'll also have access to several videos presenting my favorite live scenarios designed for rapid match skill development. They emphasize some of the most important concepts and philosophies needed to become a master of the neutral position. That's why we included these techniques specific to executing Single Legs with simple adjustments that make them effective for both MMA and Self Defense.